Host nation, Qatar, will officially have China Railway Construction Corporation (CRCC) as the selected company to orchestrate the construction of Lusail Stadium, the stadium that will play host to the 2022 FIFA World Cup final. CRCC was selected by Qatar’s Supreme Committee for Delivery and Legacy (SC) who have stated that CRRC will be working in collaboration with national company, HBK Contracting. In addition to these two construction companies, the stadium has also received a British and Western perspective. British architectural firm Foster + Partners earlier this year completed the schematic design of the 80’000 seater stadium, a design that CRRC and HBK will be delegated the task of carrying out. The stadium is going to play an imperative role in the world’s most watched sporting event, it will be located 20km from the capital city of Doha and it set to play host to the opening and concluding games. 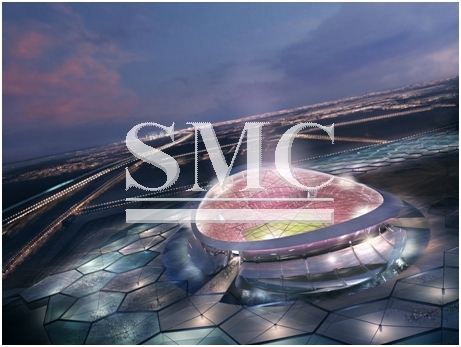 By the end of 2016, the main-works contractor will be mobilized on site and the SC plans to reveal the final stadium design to the world in early 2017. The stadium is due to be completed in 2020.